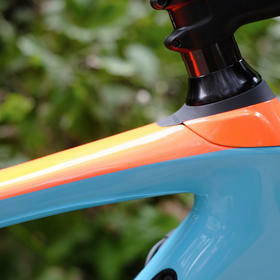 Just what we need as the grey skies close in, a real splash of colour. 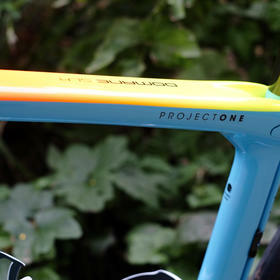 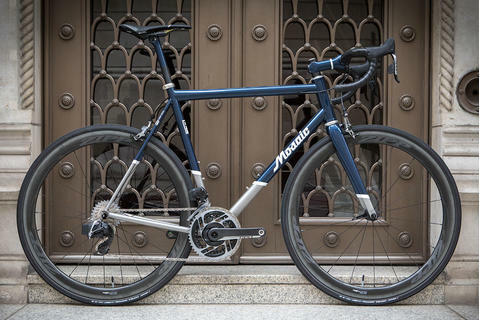 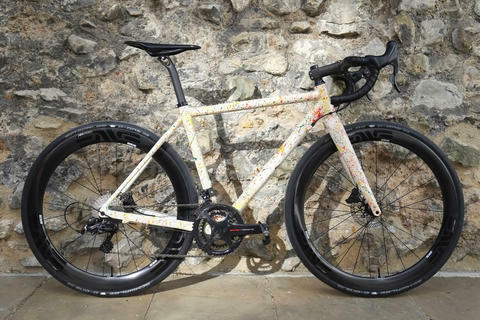 This 90s vibe Domane makes full use of Trek's Project One custom programme to deliver a seriously refreshing paint scheme. 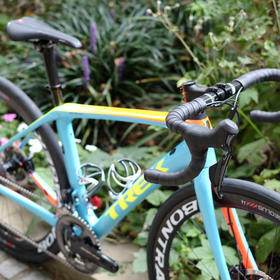 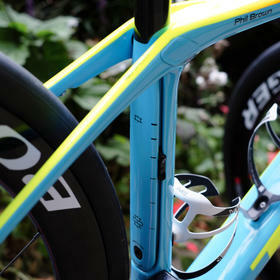 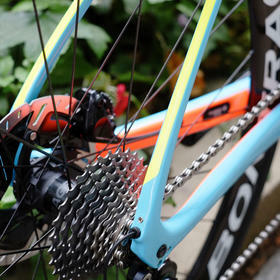 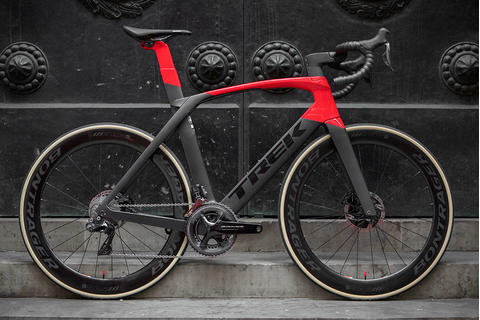 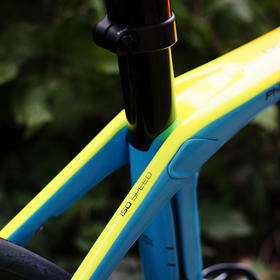 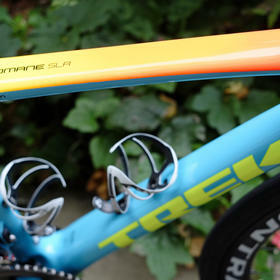 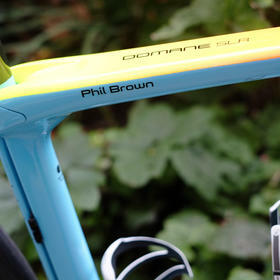 The Domane SLR is Trek's top "endurance" model, designed for long days in the saddle, at speed. 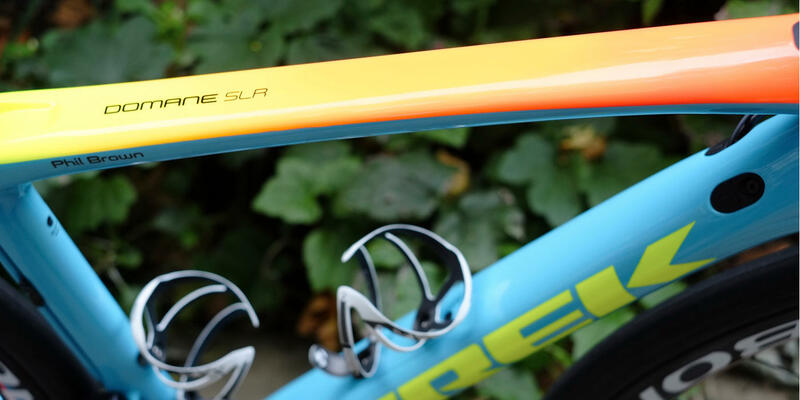 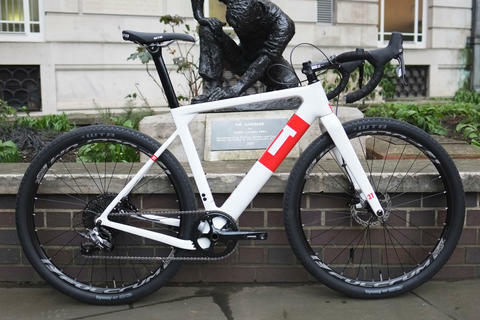 The rear IsoSpeed damping is adjustable, and there's further shock absorption at the front, with both IsoSpeed and Bontrager's clever vibration-dampening IsoCore handlebars. 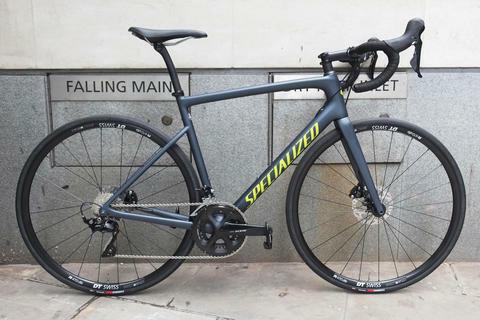 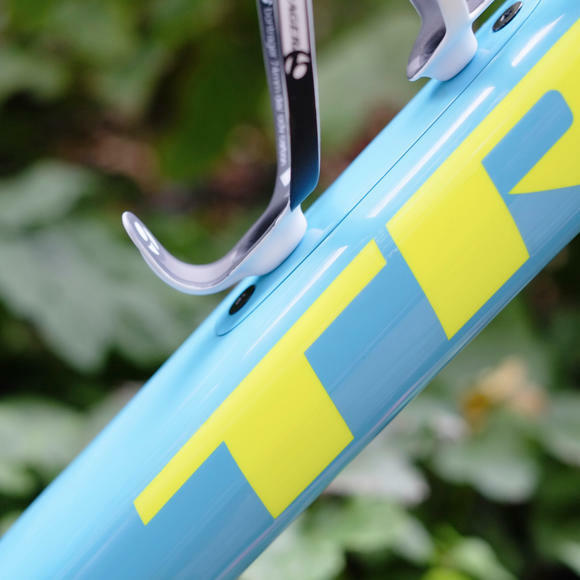 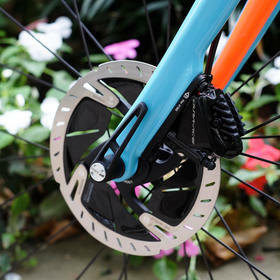 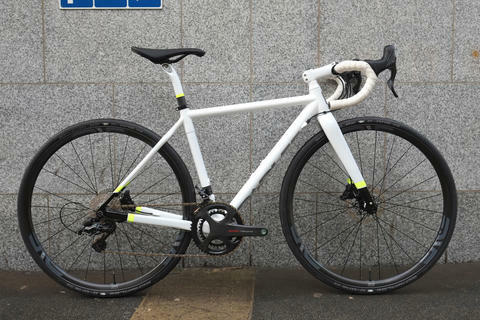 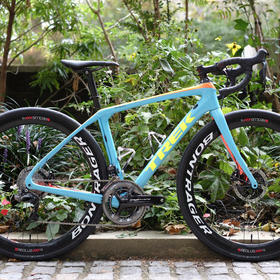 Tried and tested Dura-Ace Di2 electronic shifting keeps things rolling smoothly, with Trek's clever integrated cable management ensuring that the minimalist cables are neatly routed without excess clutter.